Taron Egerton stars as "Robin Hood," an outlaw who steals from the rich and gives to the poor, and who's been the subject of many great and awful movies in the past. Jamie Foxx co-stars as Robin Hood's mentor, Ben Mendelsohn plays the wicked Sheriff of Nottingham, and together they live in a strange hybrid world that exists half in the Middle Ages and half in stark fashion catalogue. 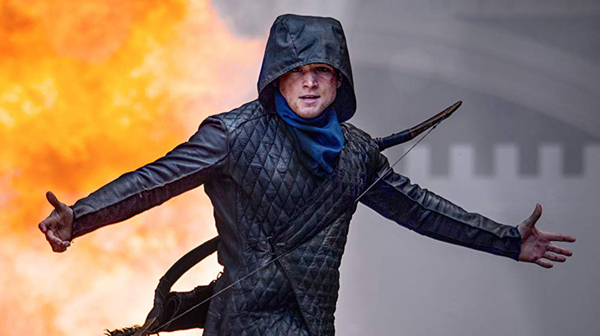 In his review of "Robin Hood" at IGN, William Bibbiani says this movie "may very well be the first 'Robin Hood' movie without a point" and criticizing the film's muddled timeline and mediocre action, but reserves some praise for Egerton and Mendelsohn's performances.